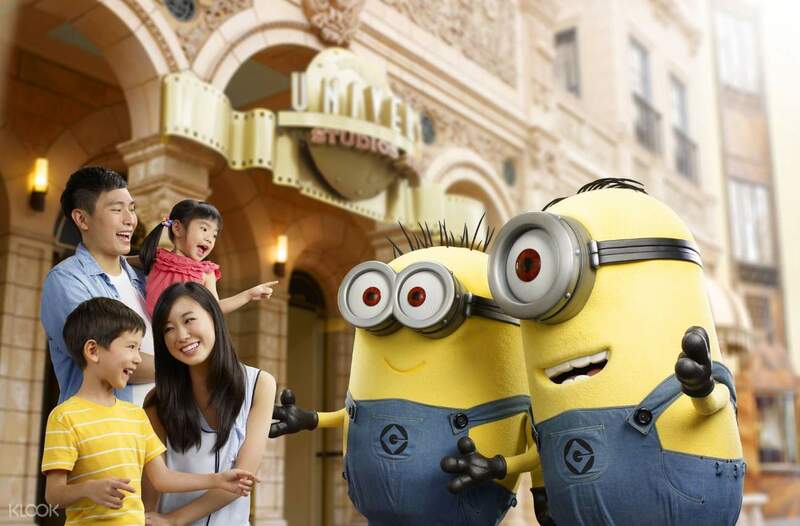 Book through Klook and avail of Universal Studios Singapore™ Express Pass to skip the lines to your favorite rides! Read Klook’s Universal Studios Singapore™ guide to discover how you can maximise your day inside the park! It showed very iseful to allow us to do most of the activities in decent time. Highly recommend! If you’re going on a trip to Singapore and looking to spend some quality time with your family and friends at Universal Studios Singapore™ without having to go through the hassles of lining up to enter its numerous facilities and features, then you’re in luck! Book through Klook and avail of the nifty Universal Studios Singapore™ Express Pass, which will grant you one time skip-the-line access to many of the park’s cutting-edge rides, shows, and attractions based on blockbuster films and acclaimed television shows, such as Battlestar Galactica: HUMAN™, Sesame Street Spaghetti Space Chase™, Jurassic Park Rapids Adventure™, Madagascar: A Crate Adventure™, and Puss In Boots’ Giant Journey™! If you love movies, then booking this pass is a must. 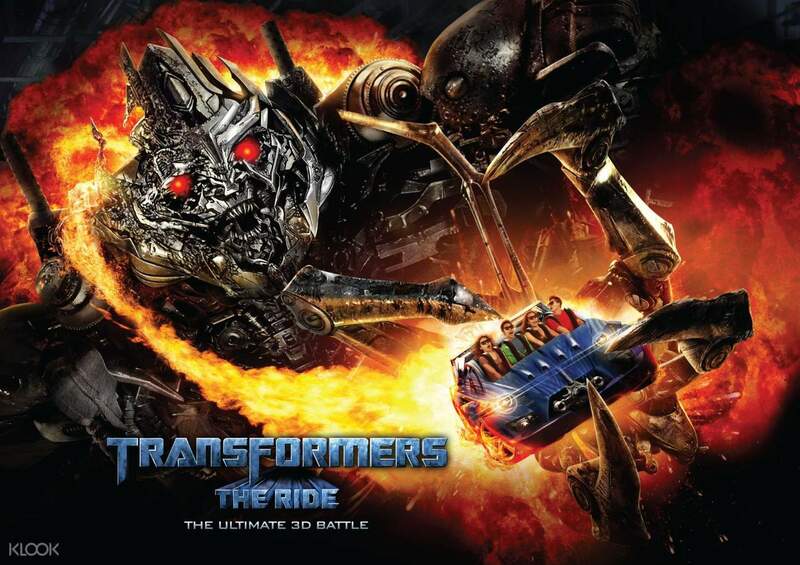 Universal Studios Singapore™ will surely be able to indulge the fantasies of every movie buff. 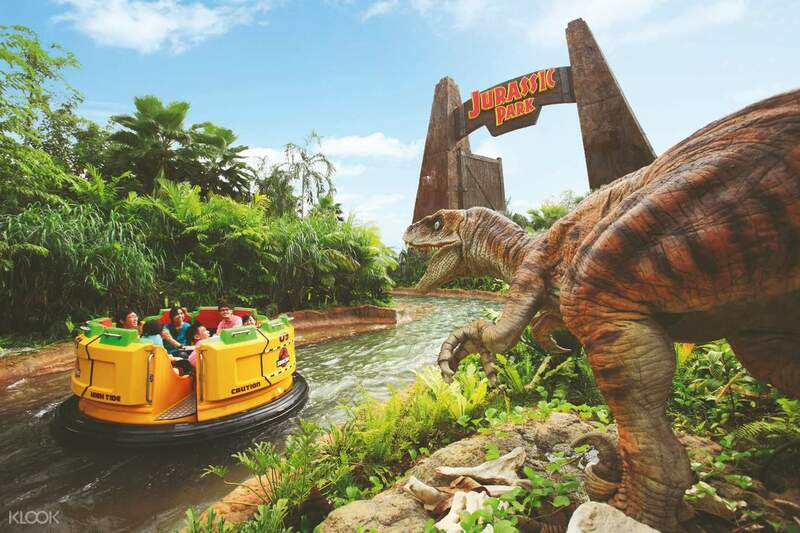 Book through Klook and avail of the nifty Universal Studios Singapore™ Express Pass! Lots of exciting and exhilarating rides. May get quite hot during day time so bring a hat, USB fan and water bottle. Some rides are ok for kids, others may be too scary for them. But overall is good for all ages. The food is expensive so you may want to prepare your own. And you should really consider the Express pass to avoid the long queue. It's really worth it. Lots of exciting and exhilarating rides. May get quite hot during day time so bring a hat, USB fan and water bottle. Some rides are ok for kids, others may be too scary for them. But overall is good for all ages. The food is expensive so you may want to prepare your own. And you should really consider the Express pass to avoid the long queue. It's really worth it. Amazing place to spend the entire day with friends and family. The pass covers all the rides in the Universal Studio. Try to get in early to get the maximum out of it in a day. Amazing place to spend the entire day with friends and family. The pass covers all the rides in the Universal Studio. Try to get in early to get the maximum out of it in a day. We visited Universal Studios on Christmas, Express pass is very very helpful. We started the activity only in the afternoon at 2PM. With this pass all the rides took an average of 20 mins without which would take 2hours on an average. We visited Universal Studios on Christmas, Express pass is very very helpful. We started the activity only in the afternoon at 2PM. With this pass all the rides took an average of 20 mins without which would take 2hours on an average. I went to uss with friends and have an amazing day. We bought express pass a little expensive than an ordinary uss ticket in klook. I went to uss with friends and have an amazing day. We bought express pass a little expensive than an ordinary uss ticket in klook. It’s a MUST MUST to buy - it gives you ONE time priority access per ride. Wish it could be unlimited. Klook gives you good deal when booked through its application but the only drawback is that one has to collect the express pass from the basement (KLOOK shop) before ENTERING the studios. It’s a MUST MUST to buy - it gives you ONE time priority access per ride. Wish it could be unlimited. Klook gives you good deal when booked through its application but the only drawback is that one has to collect the express pass from the basement (KLOOK shop) before ENTERING the studios. A greet experience, I can playing all game use this ticket in this place and I think this is a good if you frist go to here. Actually, I'm so pround can playing all game in one times and I go home at 07.00 P.M ahh, this is a great exprerience. really, this is work it. A greet experience, I can playing all game use this ticket in this place and I think this is a good if you frist go to here. Actually, I'm so pround can playing all game in one times and I go home at 07.00 P.M ahh, this is a great exprerience. really, this is work it.